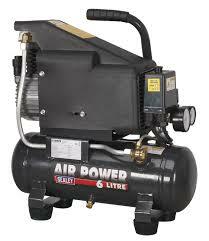 Compact and portable, this compressor is suitable for use with the Sealey range of air nailers and air brushes. Twin gauges display tank and working pressures. Fitted with four anti-vibration feet for added stability when in use. Complies with current European standards.